Getting ready for the grapes to arrive from the vineyards. 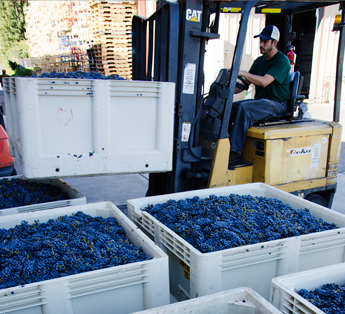 Cabernet grapes arrive from the vineyards-ready for sorting. Eric separating stems from grapes. 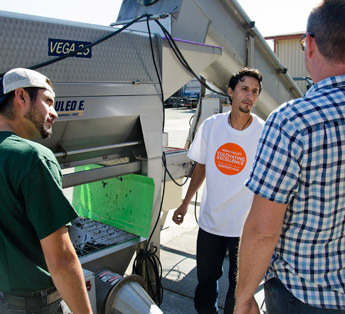 Discussing fermentation as the grapes come fresh from harvest. Getting the fermentation tanks ready. 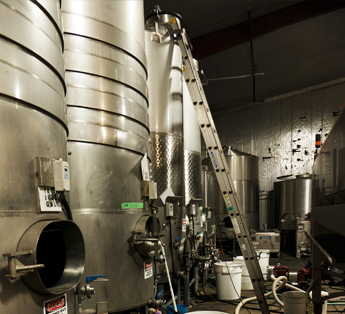 For Luis Montanez, becoming a Cellar Master was as inevitable as grapes fermenting. 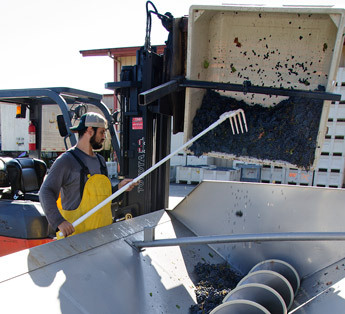 His grandfather was a Cellar Master at Newton Winery in St. Helena – the same winery Luis worked when he was young. He learned to work in the fields and bottling. 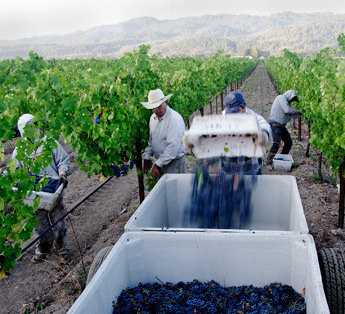 After he met our resident Master Winemaker Bruce Devlin in 2011, Luis began working in all aspects of the vineyards. 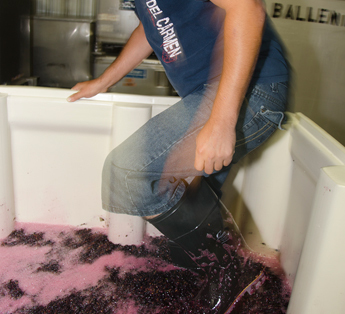 He jumped into the many demanding areas of working a Napa Valley winery. Wine was in his blood as sure as the oxygen he breathed; he particularly loved the cellar. 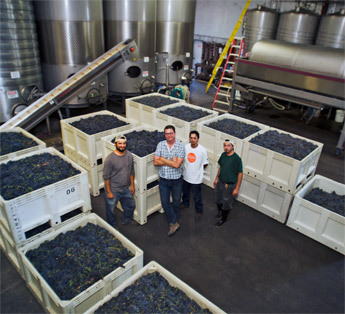 Bruce offered so much opportunity to Luis to gain his dream experiences; he could learn everything he wanted about making wines. The drive that led him finally paid off and he gained the title as ‘Cellar Master’ in 2015, just like his grandfather. Luis isn’t always in the cellars; he makes plenty of time for his wife Maria and their four children where they live in Napa. He spends time helping his kids with homework, and on the weekends he loves to go bowling or play tennis and soccer with his extended family. 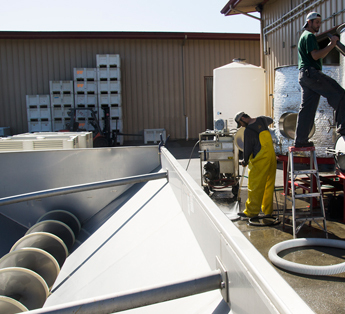 Winemaking is all about team work. Ricardo Montanez and Eric Ortiz are the key members of Luis’ high performing team. It helps that Ricardo is Luis’ older brother. 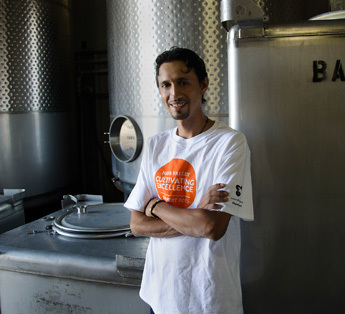 Like Luis, they have a great thirst for learning and built the skills to work in every part of the wine making process. Ricardo is most passionate about in the cellar work and Eric enjoys the variety of work from the vineyards to the barrel room.